That is right our friends, we are returning to IL, but this time to the NW 'burb of Island Lake. We will be celebrating Ron's 50th and hopefully reconnecting with a bunch of old friends. Come on out to Sideouts for a good two hours of rocking R. Mutt music this weekend! Join us for drinks at 8:00 and music at 9:00. 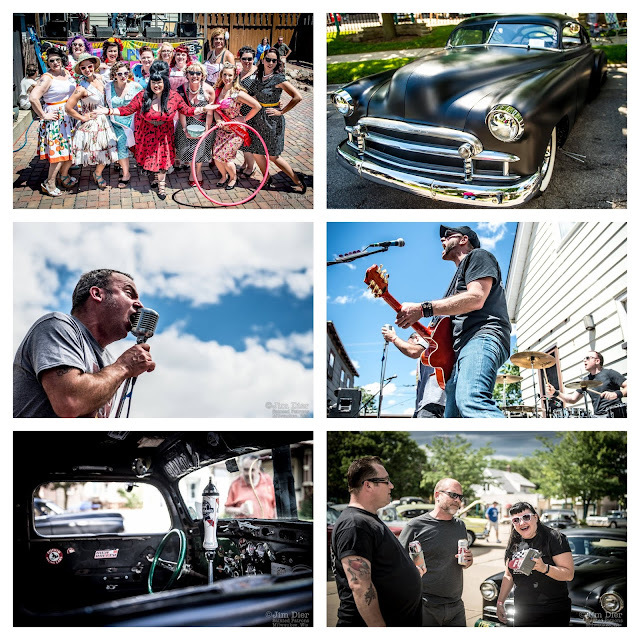 Pin Ups, Hot Rods, Beers and Bands. Kochanski's Polish Pile Up has it all, and in 2018, it also has R. Mutt. We have played here for Andy a bunch of times and always have a blast. Getting asked to play the Polish Pile Up is the icing on the cake. So, whether you are a fan of fast cars, pin up girls, beer, pierogies, R. Mutt, or just spending a Saturday hanging out in Milwaukee, come on out to Milwaukee's best beer garden and join in the fun. ...we've been here for years. In truth, some of us have come and gone over the years, but this May marks the 30th anniversary of R. Mutt's birth. 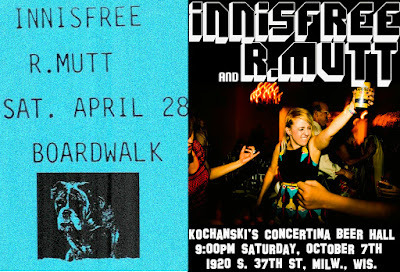 We are pulling out all the stops with full up invitations to everyone who has ever played with R. Mutt going back to 1988. Club Garibaldi's in Milwaukee's Bayview neighborhood will host as we run through 30 years of songs and line ups. Come on out and flashback to a time when bad decisions were just part of your weekend plan. The reviews are in, and we could not be more humbled. (Well, I suppose we could skip the part where we repost our favorite compliments...) 2017 was a great year for R. Mutt. The reaction to our new record, The Dash, has been stellar, local support from both WMSE and 88Nine in spinning our songs has introduced us to new fans, and we shared stages with great bands like Stereoactive, The Dexateens, The Gyps and dada. If you have not seen any of the reviews of the record, most of them are linked below. 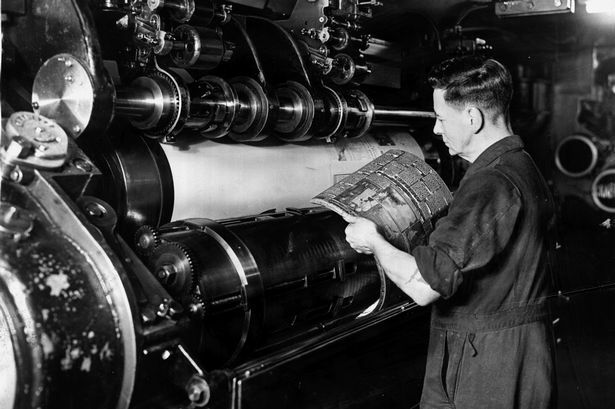 You can also hit our PRESS page to see reviews of our past records. We are looking forward to another great year and hope to see you out in MKE or Chicago. Say "Hi." We might buy you a beer. "From start to finish The Dash is a solid record that is a blast to listen to." "Wafts of Springsteen and Rush will hit you like a blast furnace"
"Screaming roars of vocals combine with raucous guitar and thumping that sucker down drums to provide music that begs for answers to many fundamental questions." "...the band locks down into a pummeling rock groove that one could equally equate to The Stones and the better glam rock bands of the seventies and even, dare we say it, KISS." "Rare is the musical classicist who can inhabit a genre without coming off as a revivalist. On their fifth full-length album, The Dash, Milwaukee’s R. Mutt achieves that sort of classicism when it comes to classic rock." Come on out to relive your favorite black out. 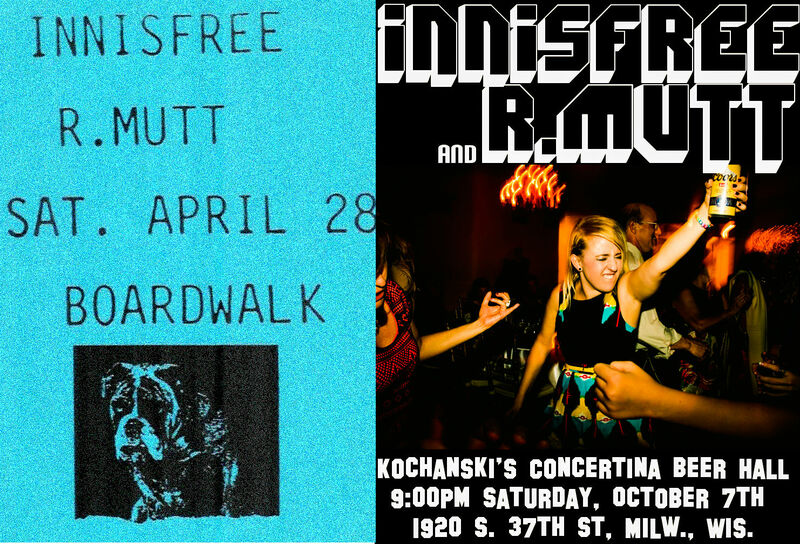 We may have some old school Mutt cassettes to give away and maybe some Avalanche t-shirts for sale. Doors at 7:00, bands will start about 9:00pm. Kochanski's is a quick Uber away at 1920 South 37th Street, Milwaukee. Saturday, May 20th: Linneman's Riverwest Inn Fight Nite! Jim Linneman has built a real Milwaukee institution. A great room, with a proper stage, and great sound that hosts local and regional performers on the steady. 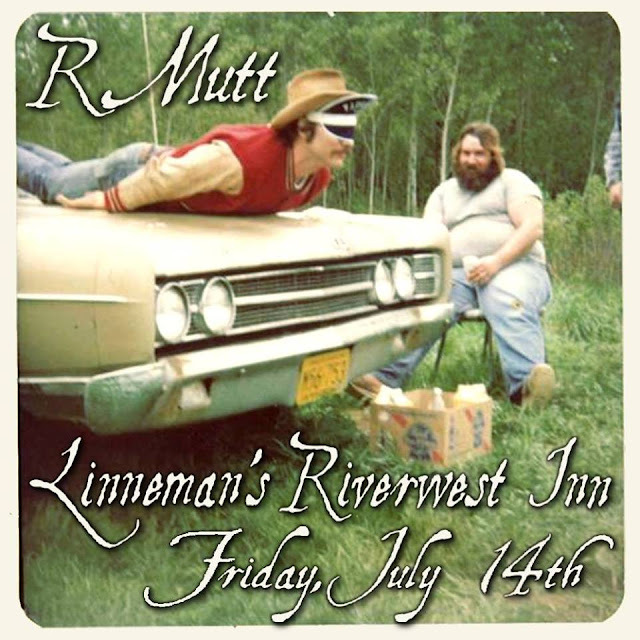 We are super excited to be returning to Linneman's Riverwest Inn for our Milwaukee Vinyl release party for our new record, The Dash. Choosing who to split the bill with was as easy as a phone call. 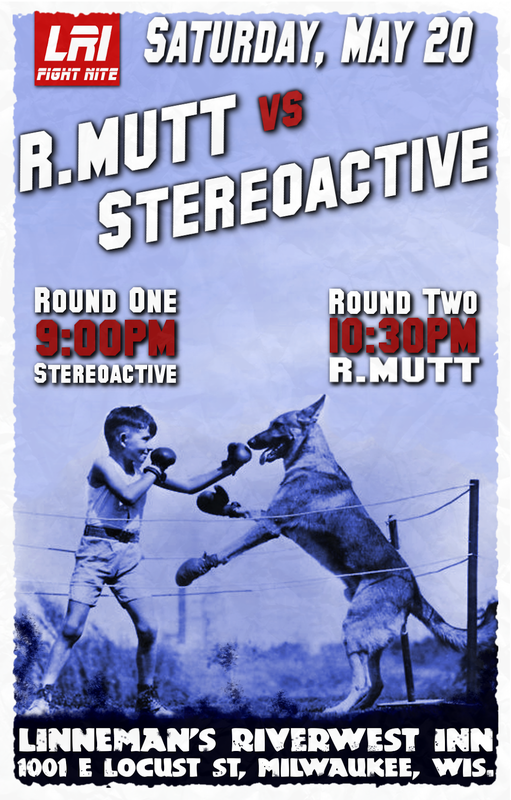 It's a rematch of the March 2012, epic throw down between the fresh, young upstarts, Stereoactive and the grizzled old men of R. Mutt. Punches were thrown, lines were crossed, blood was drawn. We expect more of the same at this match.